it is no secret that i am obsessed with bookshops. i love them in all sizes and colours, but i especially love them when they are filled to the brim with books both old and new. 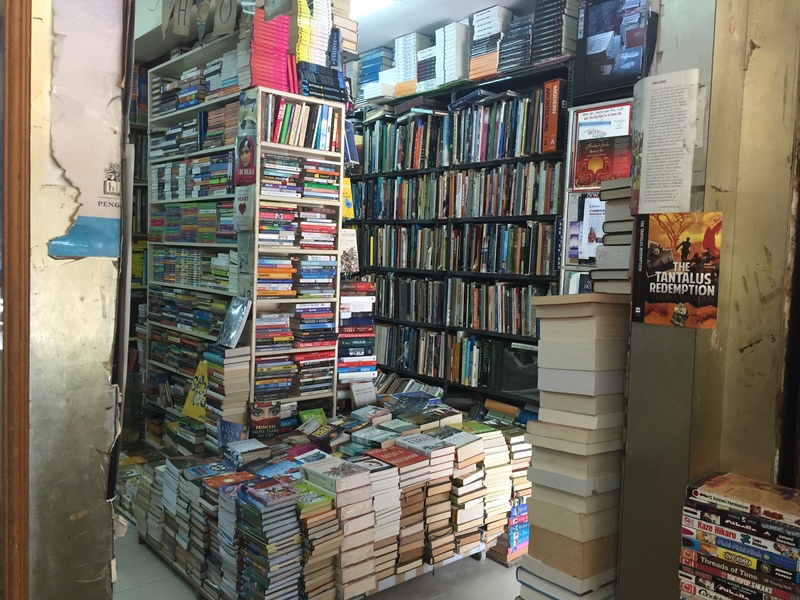 and no bookshop personifies this quite like blossom book house in bangalore. this is what greets you when you enter the fiction floor at blossom. bangalore, india. 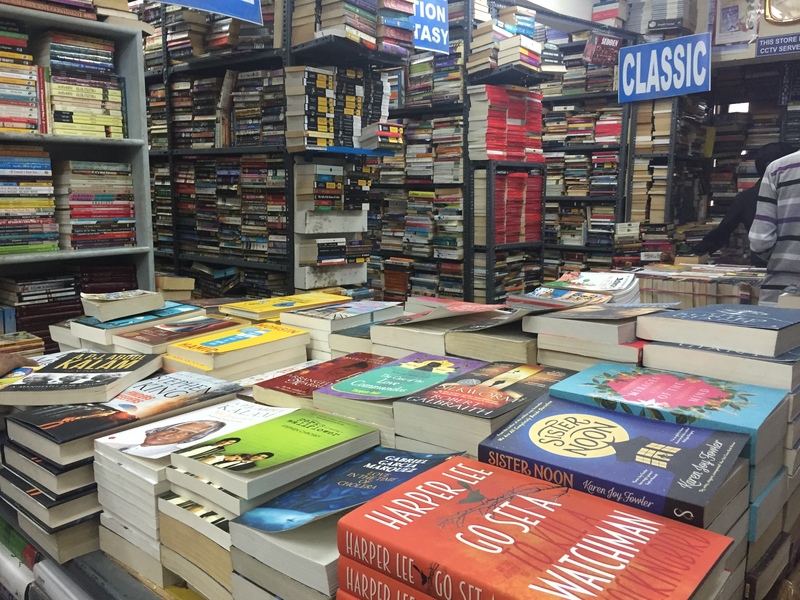 july 2015.
blossom has been a favourite spot of mine for almost a decade, and i have wiled away many hours roaming its aisles and searching for a book that strikes my fancy. and every time i enter, i am struck once again at the amazing array of choices they have on offer. i spend most of my time lurking around the 1st floor, as that is where they keep works of fiction, but even what i have glimpsed of other floors looks incredible. fiction paradise at blossom. bangalore, india. july 2015.
but probably what is most fascinating for me is the knowledge of the booksellers who work at blossom. 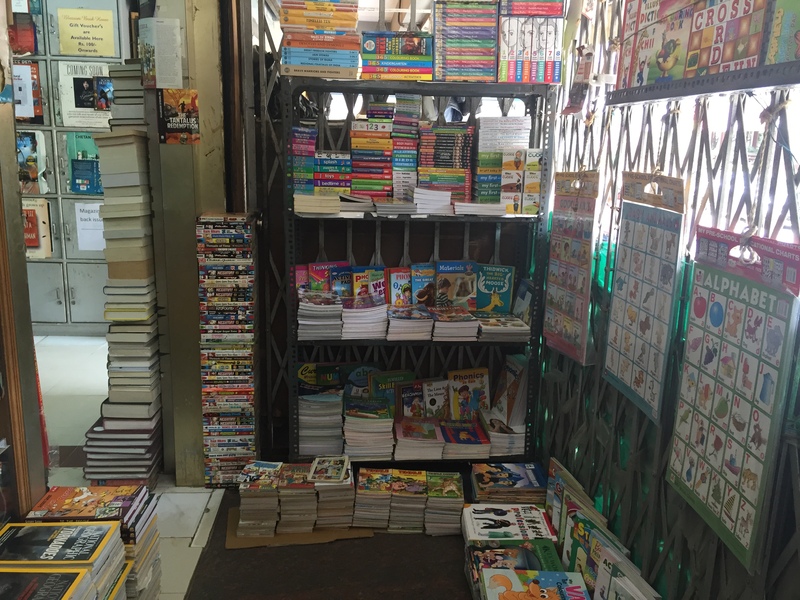 they know the precise location of each and every title in their collection, and they can locate whatever you are searching for in no time at all. just last week, when i went searching for life & times of michael k to kickstart my way through the booker winners of my lifetime, i had the book in my hands in under 2 minutes. i walked inside, made my way upstairs, and asked the first person i saw for the book. he looked at me for a moment, did some mental calculations, and turned around and pulled it from its pile. just like that, no checking on computers or walking in circles for 20 minutes; just about 45 seconds of thought and then i had my book. 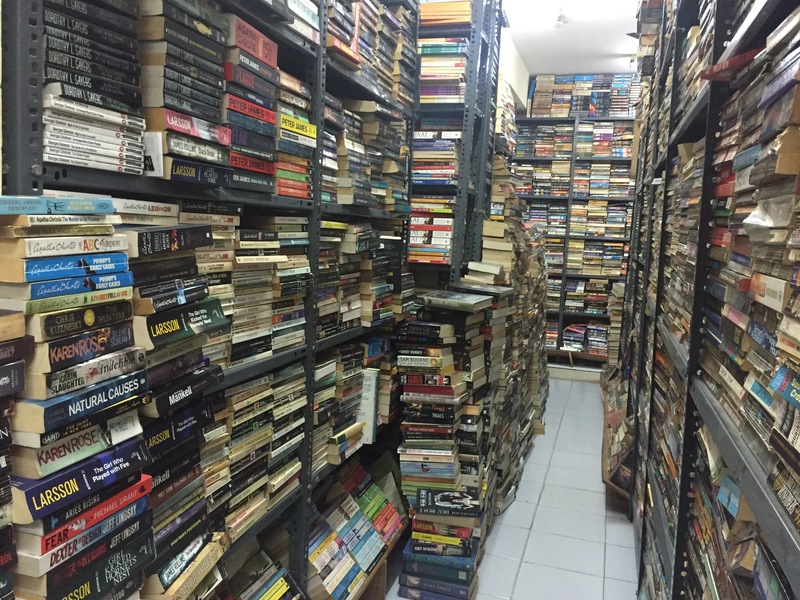 even the nooks and crannies are crammed full of books. bangalore, india. july 2015.
as a book lover, that’s the best kind of service. as a former bookseller, i have the utmost respect for their knowledge. and as a self-confessed compulsive book buyer, i am pretty proud of myself for walking out of there with only one new book in my bag. ground floor offerings at blossom. bangalore, india. july 2015.
but i’ll be back again soon enough. if you want to experience the wonders of blossom for yourself, it’s located across from amoeba on church street. it’s worth at least one visit if you’re in the city. I could be dangerous if left alone in a place like that! Definitely! I have to set strict expectations for myself whenever I go there, because I could easily spend an entire week’s budget in one visit. You should make sure to visit when you are in Bangalore next year, though!